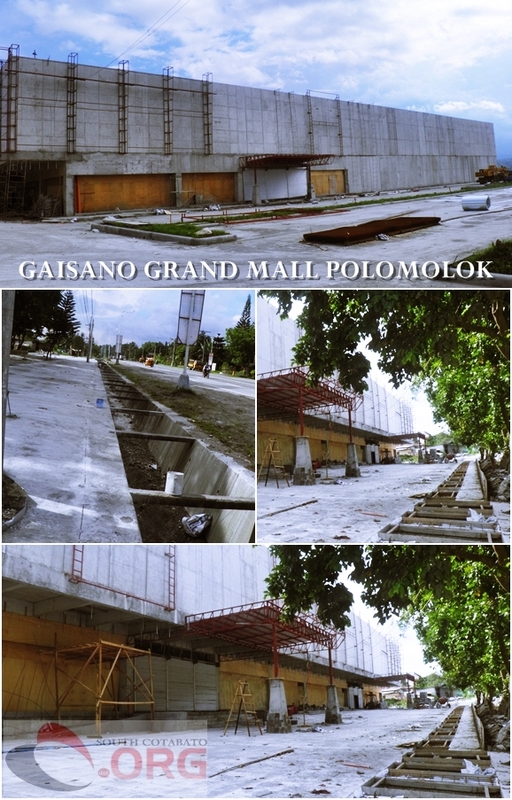 Here are quick photo updates of the under construction Gaisano Grand Mall of Polomolok. As shown in the photo below, the entire Gaisano Grand Mall of Polomolok building is now fully enclosed. A construction worker disclosed that they are now making preparations for exterior metal cladding and painting of the building's facade. The grounds around the entire building has been cemented including the soon to be wide parking area and construction of drainage canals around the vicinity is still on going. When completed, the people of Polomolok and neighboring towns need not go to General Santos City for their shopping needs. Gaisano Grand Mall of Polomolok will be the second mall of the Gaisano Grand Group in South Cotabato (the other one is in the City of Koronadal) and the 7th Gaisano Grand mall in Mindanao. We all look forward for the completion and opening of Gaisano Grand Mall of Polomolok. Check out the location of Gaisano Grand Mall of Polomolok using the Google Map below.